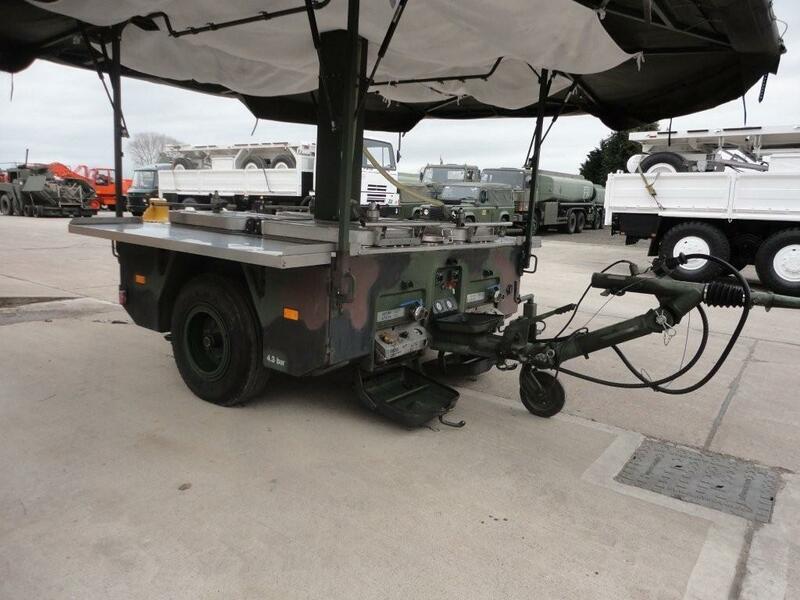 Karcher TFK 250 army mobile field kitchen trailer. 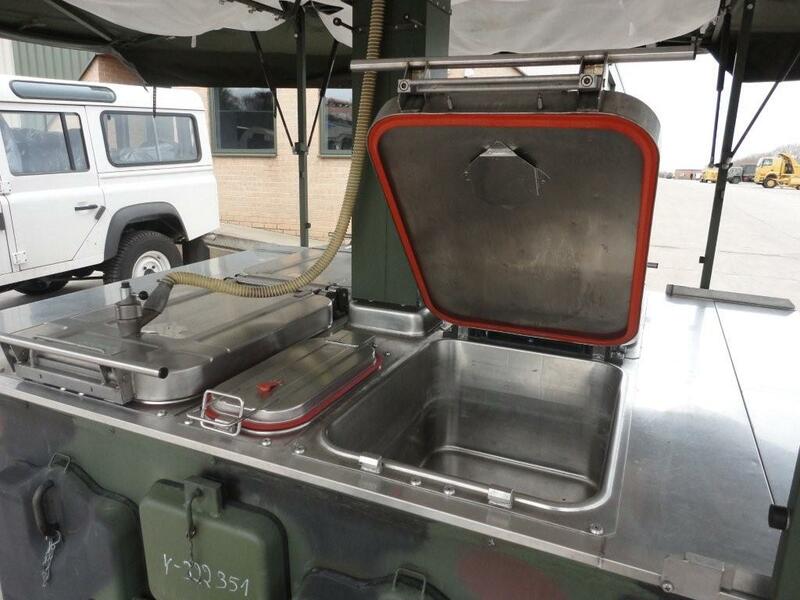 Using the TFK 250 two cooks can provide meals for 250 personnel or a single-course meal for 500 personnel in 2 hours.In an emergency it is possible to supply at least 1000 people with simple dishes in the same time. An emergency furnace enables solid fuels, i.e. wood, coal, peat, kerosene or diesel fuel etc., to be burnt. 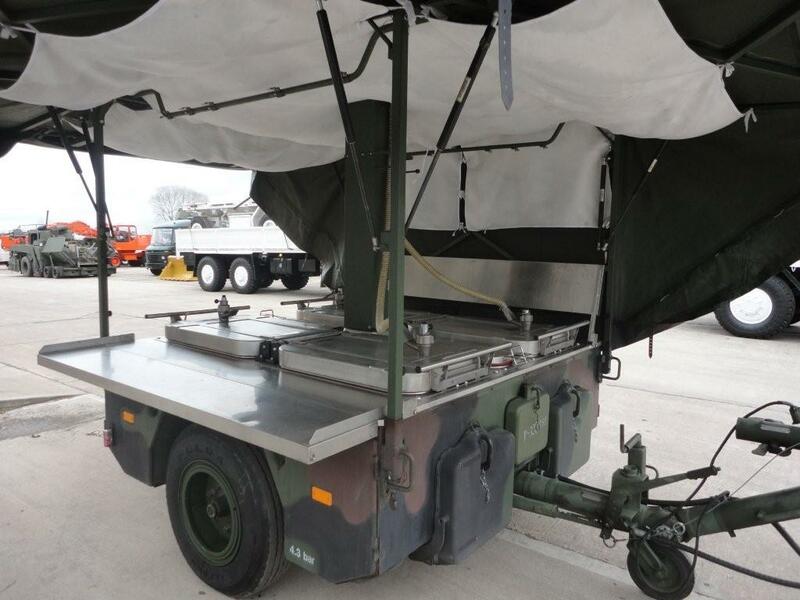 This tactical field kitchen is a mobile catering unit mounted on a single-axle 3,500 kg trailer. It uses stainless steel (chrome-nickel 18/10) for the cooking appliances as well as other high-quality materials. 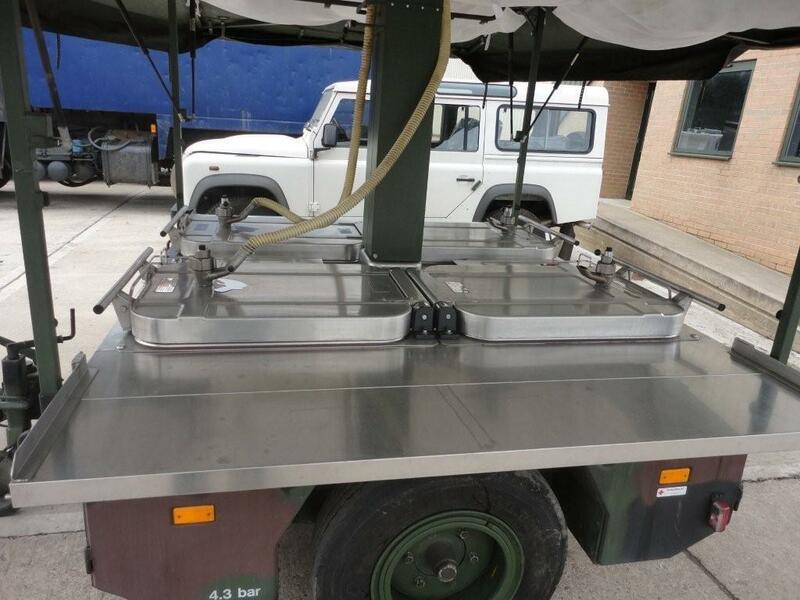 two 28 litre hot water and tea makers, and a four-unit pressure vaporisation burner that can use diesel oil, light fuel, petrol or kerosene. 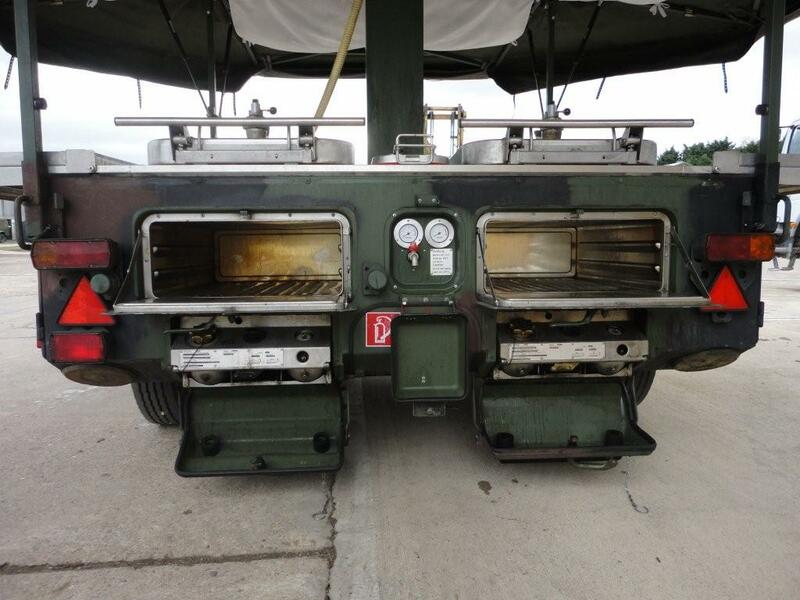 The design permits the left and right boiling pans, frying and baking areas to be exchanged. 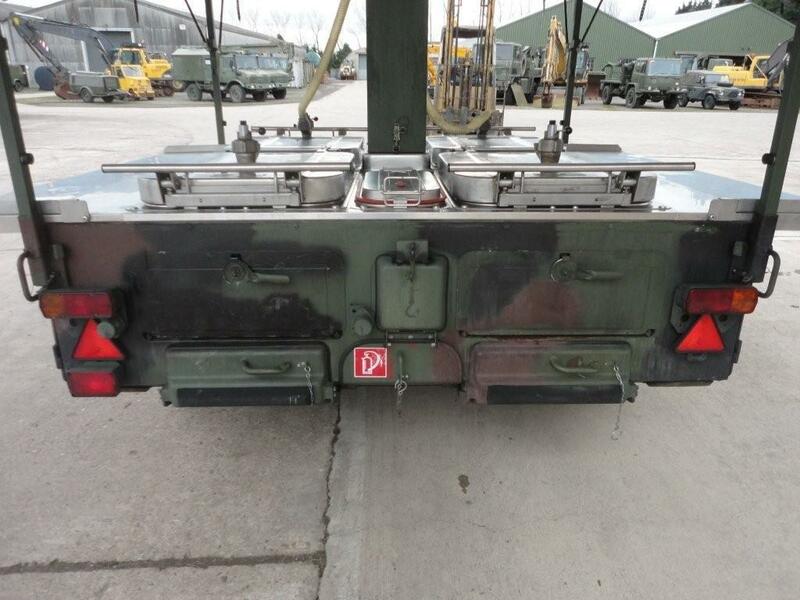 All assemblies can be removed for repair in the field without the need for specialist tools. The trailer features swinging arm torsion bar suspension and is rated for cross-country movement with full boiling and frying pans. 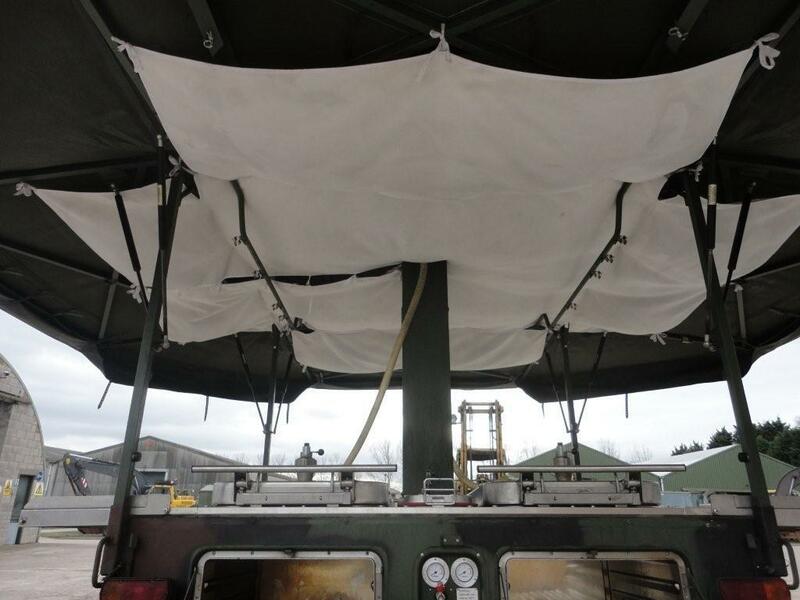 Four support legs are provided and a swing-up four-part 17 m2 weatherproof roof offers protection to the kitchen, food and cooks. 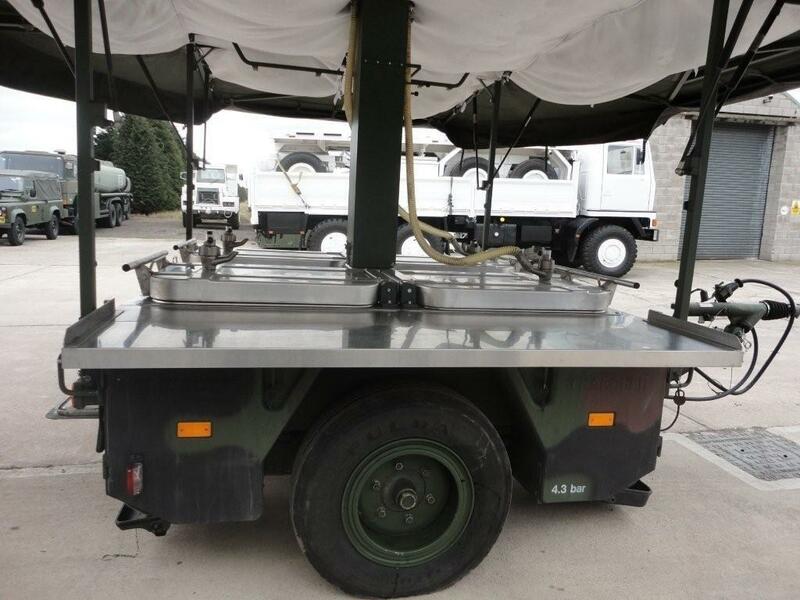 A two-part all-round tent is available for operations in difficult climatic conditions. 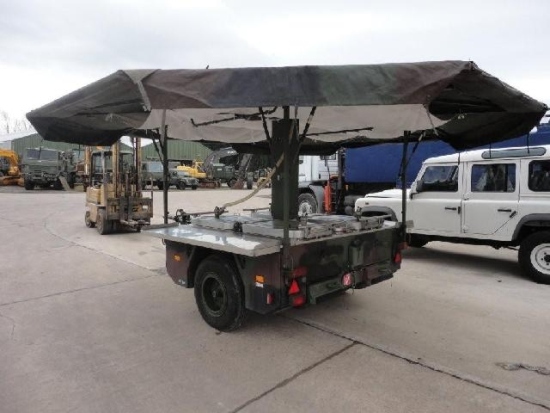 The fully equipped TFK 250 is capable of being transported by internally or externally as an underslung load by CH-47 and CH-53 helicopters, or internally by C-130 Hercules and C-160 Transall transport aircraft. 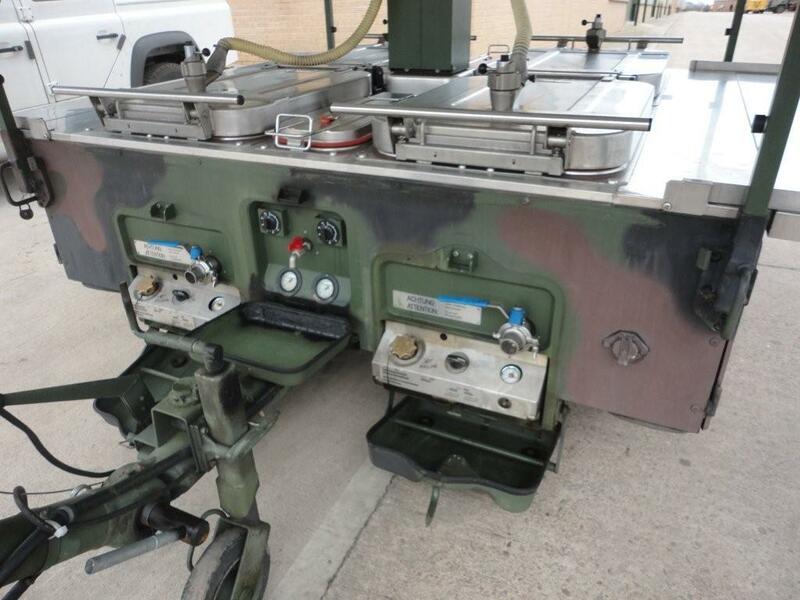 All units are in excellent condition and direct ex Mod stock. Overall length 4,170 mm 164.2 in. 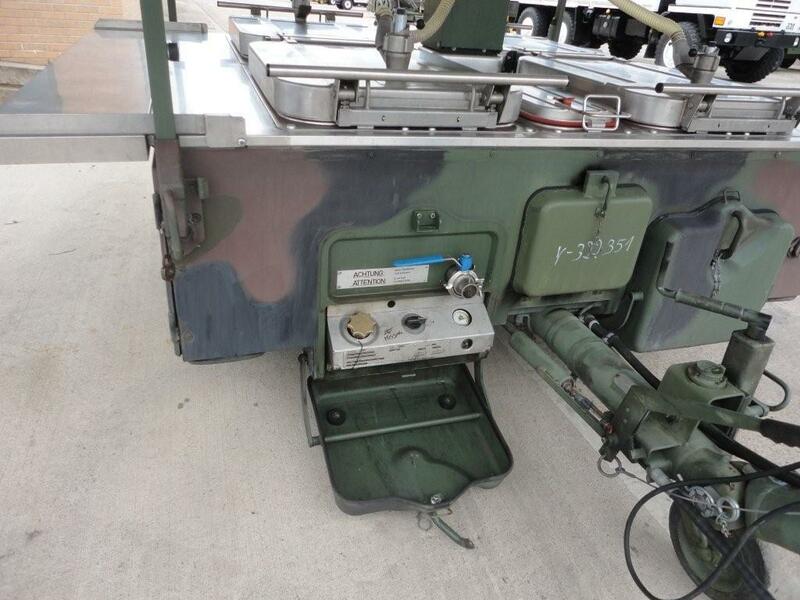 Overall width 2,160 mm 85.0 in. Overall height approx. 2,620 mm 103.0 in. Height of work surface, empty 960 mm 37.8 in. Height of work surface, loaded 950 mm 37.4 in. 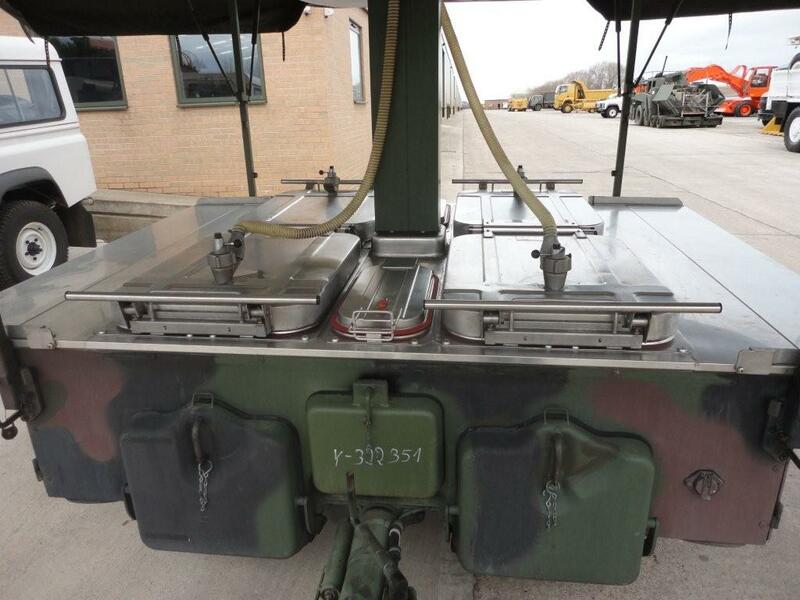 Length of work surface 1,900 mm 74.8 in. without tables 2,100 mm 82.7 in. Ground clearance 320 mm 12.6 in. Track 1,920 mm 75.6 in. Towbar height, adjustable 550 � 1,050 mm 22 � 41.3 in.